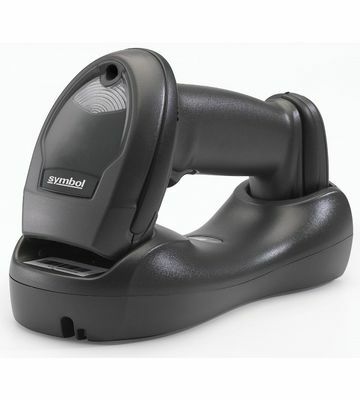 The LI4278 takes 1D bar code scanning to the next level, allowing workers to scan faster and farther. Workers can capture virtually any 1D bar code — including the typicalbar codes that are printed on paper labels; electronic barcodes displayed on the screen of a mobile phone, tablet or computer that allows retailers to easily process loyalty cards, mobile coupons and more; and the high density (HD) bar codes commonly used in electronic component manufacturing. 100 percent UPC bar codes can be captured from near contact to over 30 in./76.2 cm away, while 200% UPC codes can be scanned at 55 in./139.7 cm away. Since bar codes can be captured at extreme angles, scanning is easier than ever, so workers spend less time maneuvering the scanner and more time on task. And an optional cradle that enables presentation mode gives your workers the flexibililty to use the scanner in handheld and hands-free modes.